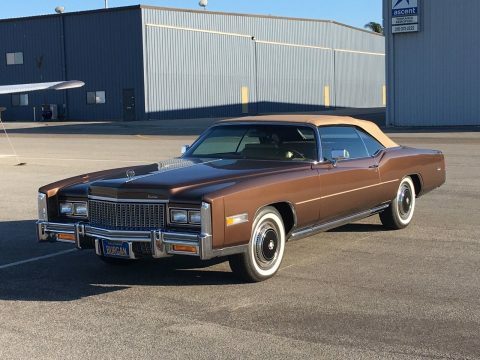 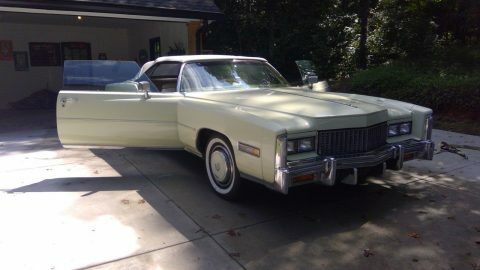 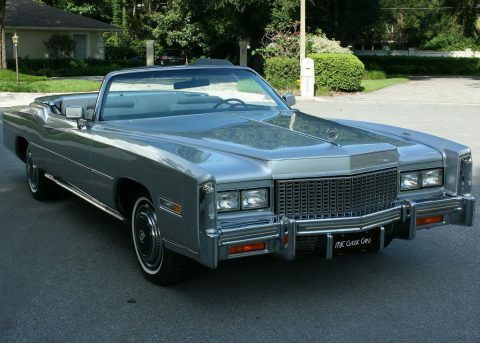 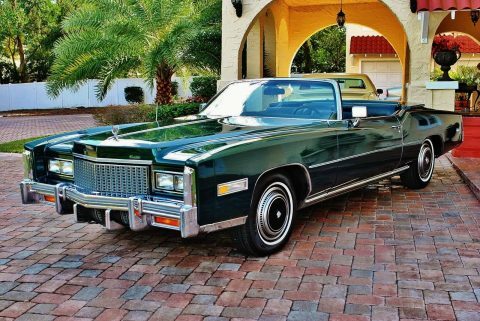 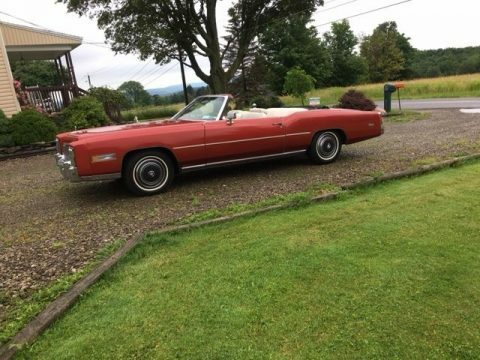 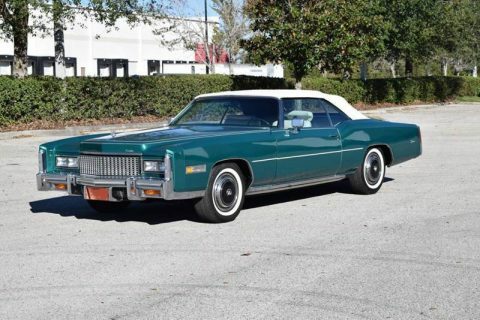 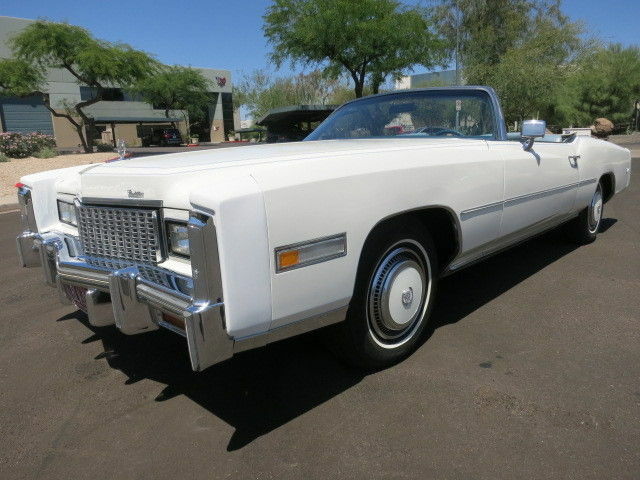 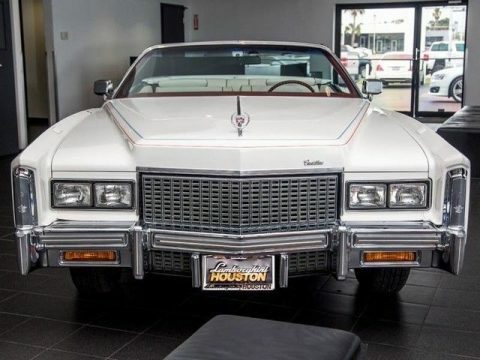 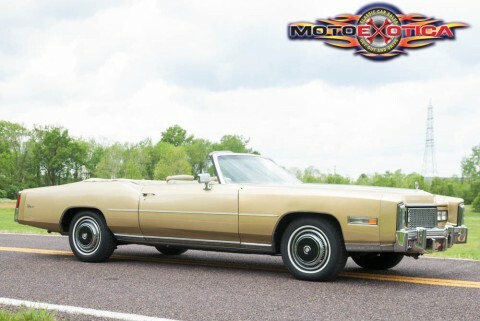 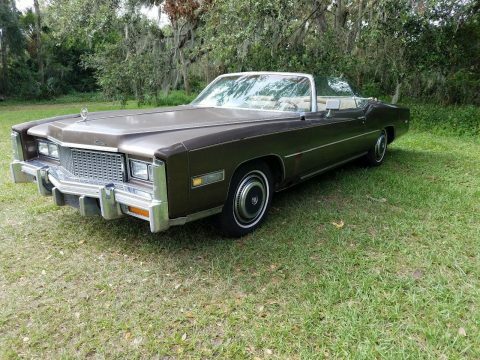 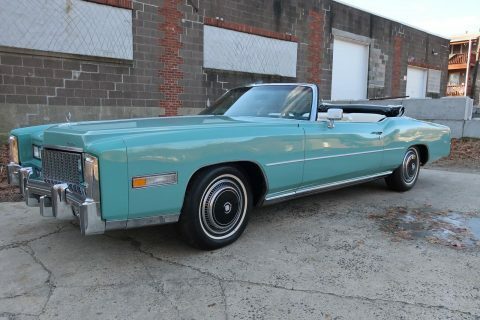 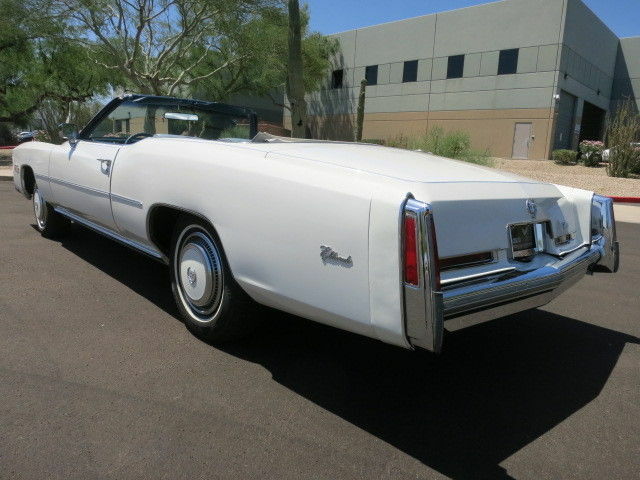 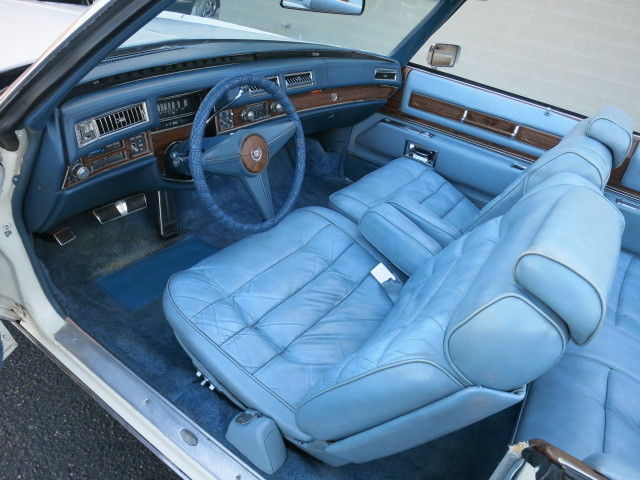 Here is an absolutely gorgeous 1976 Cadillac Eldorado Convertible that is in excellent condition both inside and out. 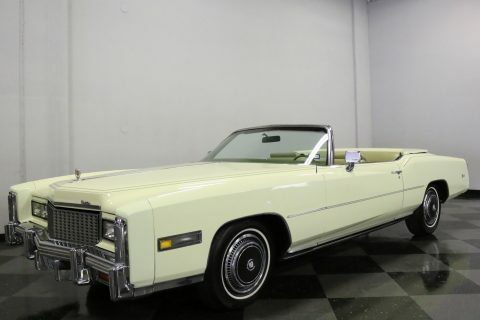 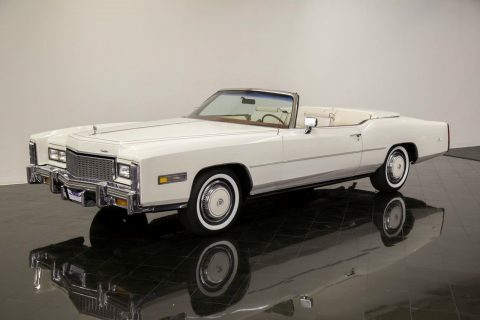 This RARE Eldorado Convertible has been well cared for and looks absolutely stunning. 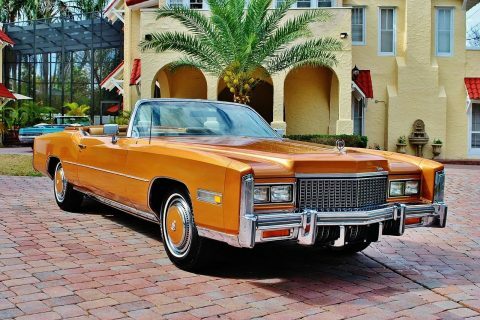 76′ was the last year for the Eldorado convertible making this car very rare and highly sought after by collectors. 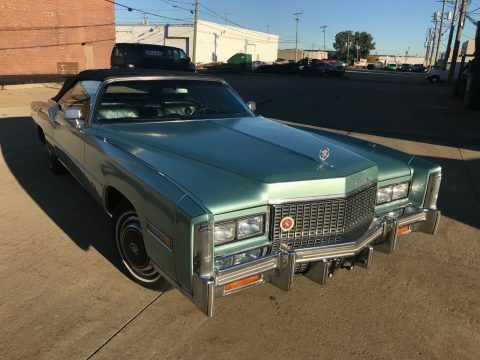 To find a Cadillac in this condition is just unheard of. 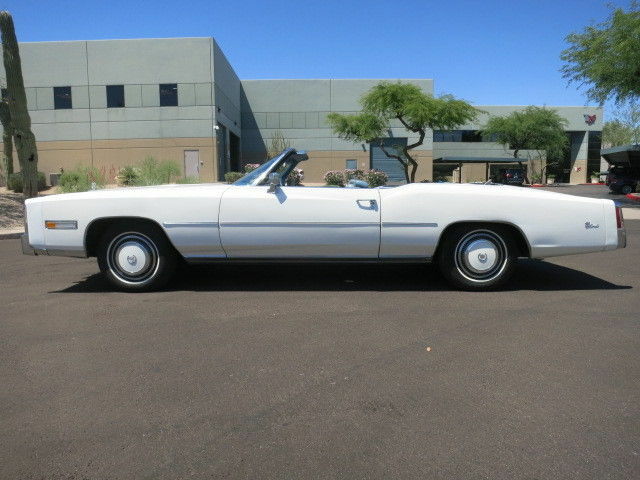 This is an original Arizona car that has always been here in a dry and rust free climate. 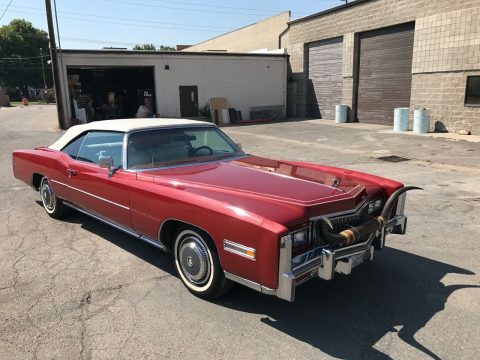 It is also equipped with factory options like factory air conditioning, white wall tires, tilt wheel, power windows, power locks, power top, factory bucket seats, AM FM 8-track radio, cruise control, and much more. 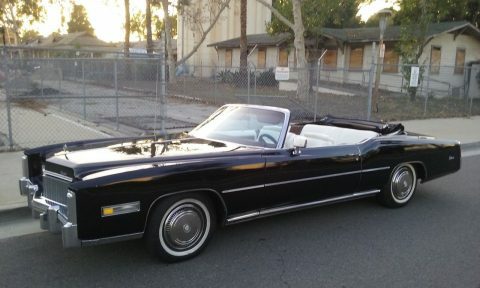 This rare find has a very straight body that has a very unique look to it and is a is a true head turner. 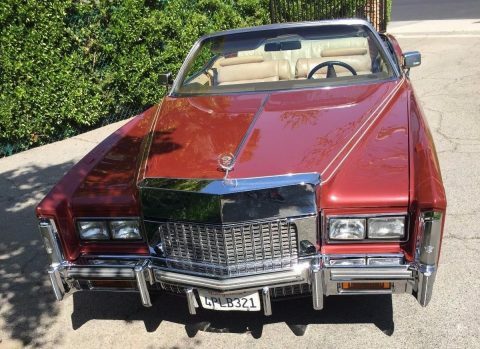 This car is as clean, straight, rust-free and hot as they come. 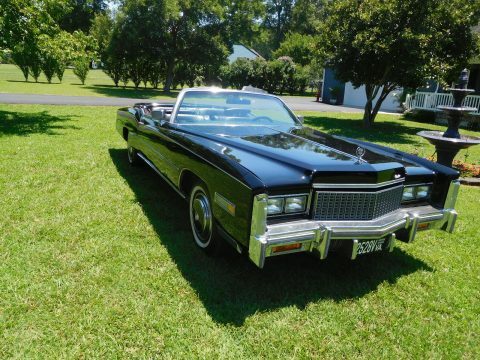 This car has had a very recently mechanical overhaul that makes this caddy a true pleasure to drive.